(NewsUSA) - Adding new carpet is an easy way to rejuvenate the look and feel of any room in your home. But when you own pets, finding a quality carpet that is easy to maintain can be a tiring task. "If you're a pet owner, it's important to find carpeting that can withstand the toll pets can dish out on flooring," says carpet expert David Duncan of Mohawk Flooring, a carpeting brand that has produced SmartStrand -- a soil- and stain-resistant carpeting that has successfully taken on zoo animals, messy kids and a cross-country tour of squirts and spills. Function: What is the room used for? For high-traffic areas, such as a family room, den or hallway, consider carpeting with built-in triexta fibers -- exclusive to Mohawk Flooring -- that are stain- and soil-resistant. A dining room carpet should be stain-resistant and easy to clean as well. Carpets with chemically applied stain protection treatments can lose their stain and soil resistance over time. Also consider the environment by choosing carpeting made in part with plant-based materials. Design and Color. Want to make a room seem larger? Look for a light-colored carpet. Want cozy? Opt for dark. Want relaxing? Blues and greens can create a feeling of calm. In addition, different carpet textures add interest to any room. But regardless of color or style, if your room gets a lot of traffic, or if you have pets with preferred sleeping spots, choose a carpet with fibers designed to spring back into place, rather than the flagpole-shaped design of the fibers in some carpets. Carpets with kinked, spring-shaped fibers are designed to resist matting, and bounce back when walked or sat on. Style and Softness. Comfort is a key factor when choosing a carpet for your home, especially if you have children or pets that spend a lot of time sitting or lying on the floor. Carpets with built-in stain protection have been shown to retain their softness over time, in part because there are no added chemical stain-protection treatments that might leave a rough or sticky residue. Maintenance. High-maintenance carpets should be avoided in areas where there are children or pets. No one wants to spend a lot of time cleaning up the inevitable messes, and some high-maintenance carpet cleaning products can be hazardous to your home environment. Choose a carpet made of triexta fibers, which are designed to be dirt-resistant and can be cleaned easily with water and a mild detergent. In addition, take advantage of warranties offered by some carpet manufacturers on stains caused by pets. 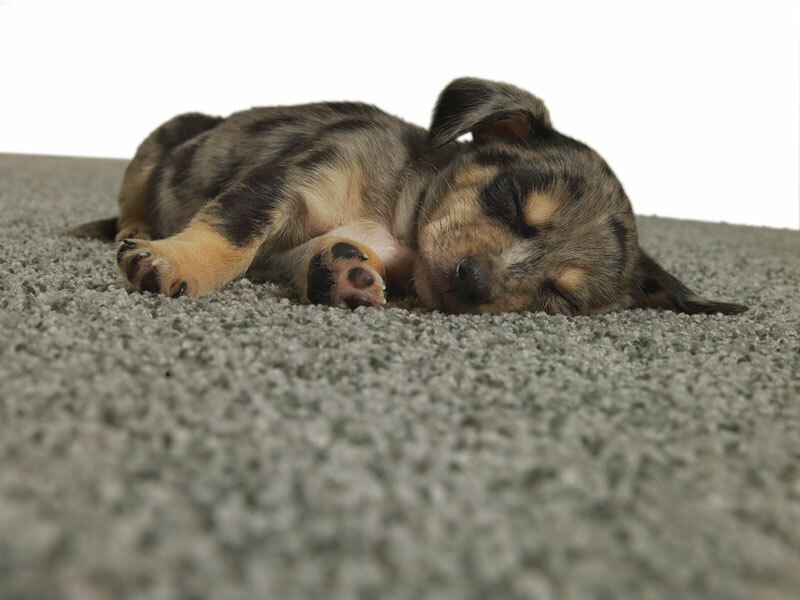 Can your new carpeting hold up against your pets?